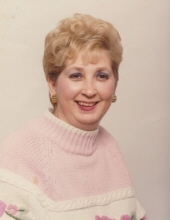 Barbara Kay Shomo-Stephens of Berkley, MI passed away at Beaumont Hospital in Troy, MI on Friday, January 11, 2019 at age 75. She was born June 25, 1943 in Detroit to the late Mary Cecilia and the late Guy Jerome Nickles. Barbara was raised in Berkley. Her parents, Guy and Cecilia were the owners of the Nighthawk Restaurant in town. She retired from Meijer several years ago and recently enjoyed games on the computer, listening to Elvis music, phone calls/visits with her family and going out to dinner with family. Her family remarked, “She was always the Glue in the family”. She is survived by her sons, Donald (Lyn) Stephens, David (Roberta) Stephens, William (Haley) Shomo and Mark (Lindsay) Shomo; eight grandchildren, Juliet Stephens, Michael Stephens, Bobby Stephens, Sean Stephens, Ashley Morfino , Noah Elkins, Landin Watkins and Christian Justice,Hannah Shomo; six great-grandchildren, Mariah Barnes, Keyera Stephens, Logan Stephens, Lilly Stephens, Sophia Morfino and Nicholas Morfino; great-great grandson, Noah Barnes; loving nieces, Linda Cain, Debbie Johnson, Kim Huskey, Cindy Gates; and stepchildren, Jim (Renee) Shomo, Tammy Shomo and Denise Shomo. She is preceded in death by her parents, Guy and Cecelia; husbands, James Shomo (1989) and Robert Stephens (1993); brother, Guy Nickles, Jr., sister, Betty Stephens and her stepson, Don Shomo. Visit with the family 3:00 PM – 8:00 PM Sunday, January, 13, 2019 at Sawyer-Fuller Funeral Home, 2125 Twelve Mile Rd. (Between Coolidge Rd. and Woodward Ave.) Berkley, MI 48072. Funeral services 11:00 AM Monday, January 14, 2019 at the funeral home. Entombment at Roseland Park Cemetery. To send flowers or a remembrance gift to the family of Barbara Kay Shomo-Stephens, please visit our Tribute Store. Gathering before the service begins at 10:00 AM before the service at 11:00 AM. "Email Address" would like to share the life celebration of Barbara Kay Shomo-Stephens. Click on the "link" to go to share a favorite memory or leave a condolence message for the family.